Preface. Contributors. Abbreviations. Evolution of mitochondrial DNA in fishes (A. Meyer). Growth hormone, prolactin and somatolactin: a structural overview (M. Rand-Weaver, H. Kawauchi). DNA fingerprinting of fishes (J.M. Wright). Gene mapping of fish (J.L. Goodier, W. S. Davidson). Oncogenes (R.J. van Beneden). The cytochromes P450 in fish (J.J. Stegeman). Molecular biology of bacterial fish diseases (J. Thornton, R. Garduño, W.W. Kay). Immune system (B. Pohajdak, B. Dixon, G.R. Stuart). The molecular biology of transgenic fish (P.B. Hackett). Molecular analyses of rainbow trout metallothionein and stress protein genes: structure, expression and regulation (L. Gedamu, M. Zafarullah). Metallothionein gene expression and regulation in fish (P.-E. Olsson). The diversity and distribution of fish antifreeze proteins: new insights into their origins (P.L. Davies, K. V. Ewart, G.L. Fletcher). Control of antifreeze protein gene expression in winter flounder (S.L. Chan, G.L. Fletcher, C.L. Hew). Promoter analysis of fish antifreeze protein genes (Z. Gong, C. L. Hew). Molecular analysis of corticotropin- releasing factors and related peptides in teleosts (K.P. Lederis et al.). Vasotocin neuropeptide precursors and genes of teleost and jawless fish (J. Heierhorst, K. Lederis, D. Richter). 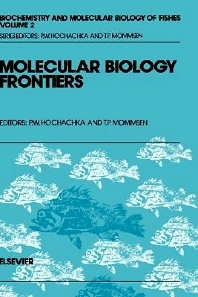 Molecular biology of fish neuropeptides (N. M. Sherwood, D.B. Parker). Estrogen receptor gene: structure and expression in rainbow trout (Y. Valotaire, M.-G. Le Roux, P. Jego). Vitellogenin gene expression in teleost fish (C. B. Lazier, M.E. MacKay). Insulin and insulin-like growth factor genes in fishes and other primitive chordates (S.J. Chan et al.). Stanniocalcin: structure, function, and regulation (G. F. Wagner). Species index. Subject index.